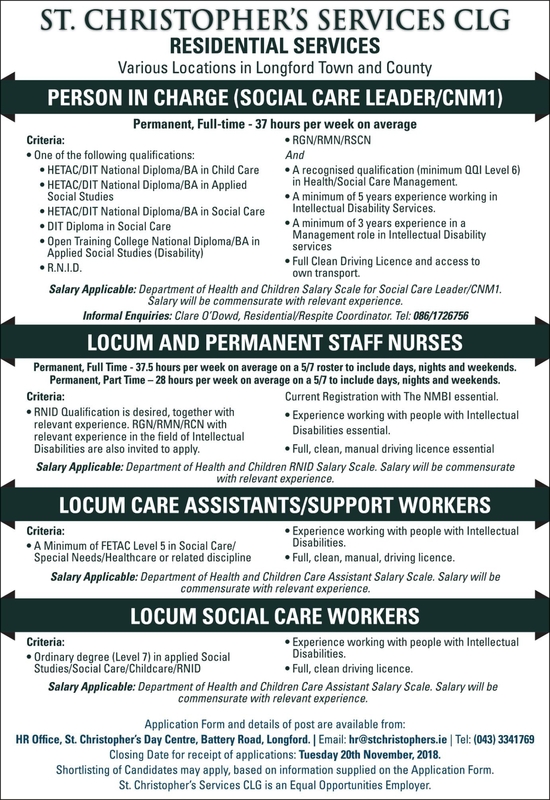 St Christopher's Services CLG Residential Services have a number of vacancies at various locations in Longford town and county. Details of the positions available are included in the advert below. Application forms and details of the posts are available from the HR Office, St Christopher's Day Centre, Battery Road, Longford. Email: hr@stchristophers.ie or telephone 043 33 41769. Closing date for receipt of applications is Tuesday, November 20.